Two months after our return from what was heralded as an historic and triumphant tour of Scotland, England, and Ireland, the musicians of the Baltimore Symphony Orchestra were told by our management and board that we should now accept a pay cut of at least 20% as part of a reduction of the orchestra’s season from 52 to 40 weeks. Welcome home, guys and gals! Fortunately, the Baltimore Symphony Musicians, as we are known around here, have friends in high places: the musicians of the other major symphony orchestras of our region. And this became abundantly clear to me when I picked up the phone to call on brass players from the National Symphony, the Pittsburgh Symphony, and the Philadelphia Orchestra, to ask whether any of them would come down to Baltimore to play alongside us in a concert at Baltimore’s Basilica to send a message. Their answer was an unhesitating yes, they would most certainly come play. Shortly thereafter, many more—including conductor James E. Ross, members of the Semper Fi Brass, and the New York Philharmonic’s Chris Martin—had all changed their previous plans, and we ended up with a brass avalanche of more than 50. It became for us here in Baltimore the first turning point in the darkest chapter of our 103-year history. Indeed, it was Baltimore’s brass concert of the century, overflowing with attendees and love for the home team. More than a few seasoned listeners have been calling it the best concert they have ever attended, period. We even raised $12,000 for My Sister’s Place Women’s Center, the women’s shelter next door to the Basilica, in a well-coordinated collection. Every musician of the BSO was mobilized to make this concert everything it could be, while members of our loyal audience had been already working overtime as part of an advocacy group called Save Our BSO. Before we knew it, the former mayor and governor, Martin O’Malley, was all-in as the evening’s host. Baltimore’s present mayor, Catherine Elizabeth Pugh, also joined our line-up. The January 8th concert was overflowing well past the church’s capacity—all citizens of Maryland who cared more about us than we ever realized. It was clear that this wasn’t simply about a labor dispute: this was about the destiny of troubled Baltimore itself, a city with so much to offer, waiting for its inevitable ascendency. In recognition of the state’s largest and most important arts institution, people throughout Maryland have made it known that we all deserve better than what Martin O’Malley described in his remarks during our concert as “self-inflicted poverty.” Indeed, this chapter of our 103-year history has turned out to be mainly a crisis of vision, resulting in a shortage of money. While this is far from over—really just the middle of what will be a long effort—there are important lessons to be learned already. We didn’t wait for a work stoppage to get organized, We had already begun to define our identity in the public mind as the musicians who are the orchestra itself. It has become abundantly clear, from the more than 10,000 letters of support subsequently circulated, that donors and community members alike are primarily behind the actual people who play the music. Most importantly, I am happy to report that after this landmark concert, the attention has turned to raising the money we need to grow our widely loved ensemble. We hope that a recent resolution from our own city council will result in greater funding from our state legislature, funding that had been cut after the great recession and never quite replenished. (Note: Del. Maggie McIntosh (D–Baltimore), chair of the Maryland House appropriations committee, filed a bill on February 27 that provides an additional $3.2 million to the BSO over two years.) In a recent turn of events, BSO President Peter Kjome even remarked that we are all united in the effort to restore public funding to the BSO. It was apt that these particular peer orchestras came to add their names of major-league weight behind us: two of them had been assailed with similar attempts to drag them down in the name of fiscal prudence in previous years. It seems to be the spirit of this age, also affecting workplaces in corporate America: downsize and outsource while leaving the remaining workers to scramble to hold together the things and places they love. And despite their difficulties, it has been these very top orchestras that have, time and again, been held up as examples of what Baltimore could also achieve, should there finally be a compelling and aspirational vision for us and for our community. To write about how music sounds is folly, of course. But it must be said this concert of spectacular, ringing sounds was inspiring not only for our community of hopeful supporters, but also for us, the Baltimore Symphony Musicians. All of us are deeply grateful for the generosity of those musicians who came to play alongside us on that cold, rainy, January night, to make it the brightest and most hopeful of occasions. 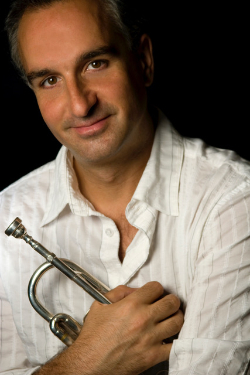 Note: the author is Principal Trumpet of the Baltimore Symphony Orchestra and founder of the Future Symphony Institute, www.futuresymphony.org.